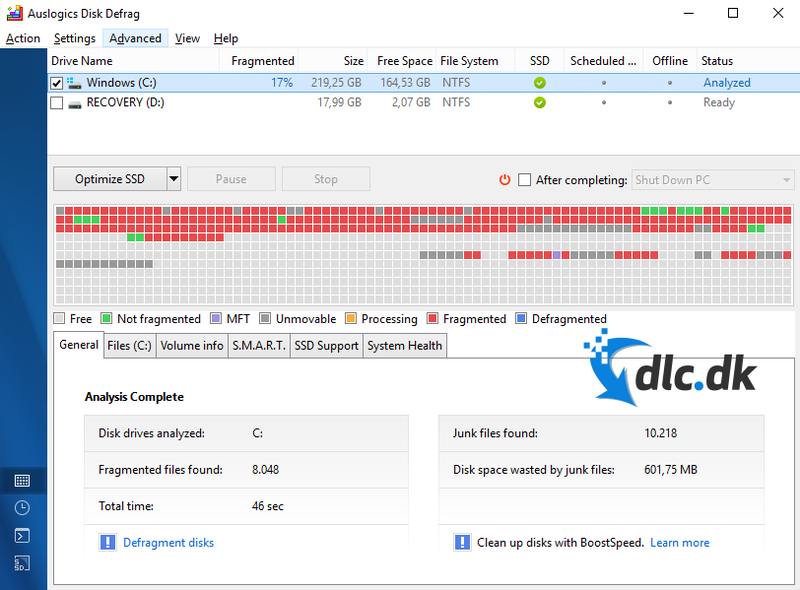 Download Auslogics Disk Defrag and enjoy a progam that will optimize the overall performance of your computer by defragmenting the files on your hard-drive. Have you ever seen a file like a Word document on your computer begin to open slower? Or a game that doesn't load as fast as it used to do? This is a typical problem for computers with operating systems such as Windows XP without an SSD, and this is due to disk fragmentation (fragmentation). It is possible to defragment its system files using a program such as Auslogics Disk Defrag. By continually using such a program, you can prevent files from being dropped significantly. What is fragmentation and why should one defragment? We are used to opening files on our computer in the idea that it is like opening a book where you just browse through the pages. But files on computers are stored in a different way. Here it would correspond to all the pages you need scattered around in your living room, and you have to find them individually to read them in the right order. As you download and remove files on its system, it will increase fragmentation and files can take longer and longer to open. 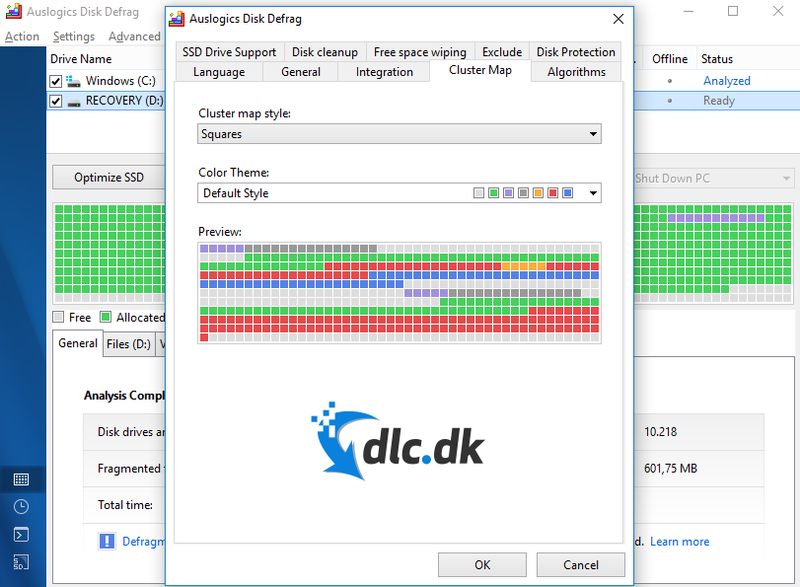 With a program like Auslogics Disk Defrag, these files are defragmented. This means that the scattered files are attempted to be assembled. And to do this one has to move around other files to make room so they can be as close as possible. The closer the various files are, the faster you can open your game or Word document, and the farther apart they are, the more time it takes. There are many defragmentation programs on the market, mostly because there are many people who own an older caliber computer. Many of these programs are often slow, and this is due to the way they move around with files. The most efficient and ideal programs move around as little as possible on files, precisely because those who move around must also have a new space close to each other. Auslogics Disk Defrag is one such program that with the precision of a surgeon always makes sure to place things in the right places. Today with modern computers, it is no longer a necessity to defragment his computer. This is because new computers usually have a built-in SSD that much more keeps track of files when they are deleted or created. Here, defragmentation can be directly harmful. But if you are a person without an SSD, it is a good idea to defragment at least once a month. In this way, you ensure that you do not experience delays when opening a file or game and significantly increasing your system performance. A little unique to Auslogics Disk Defrag is its ability to also defragment SSD storage systems. One can end up standing in the rare situation where this should be relevant, and then it is very nice to have a program that can handle the task. As I said earlier, this would almost never be necessary and it is not recommended that you do so unless you are absolutely sure of what you are doing. Check out your computer specifications and find out if it has an SSD in the first place. A defragmentation program such as Auslogics Disk Defrag does not really need any kind of opulence and fancy interface to work. You will not spend much time with the program other than the one month you have to defragment. The user interface consists of a handful of sections that allow you to follow the process of what the program is doing. If you are a real compillow shark it is also possible to fifle with some advanced settings to defragment down to its own specific specifications. In addition, there is also a help manual in the case of which you doubt anything. Help is always available when it comes to that type of program. There is a lot of other software out there on the market of this kind you can throw in. A good example is Defraggler, which does exactly what the name refers to: defragment files. Defraggles can be downloaded for free here . 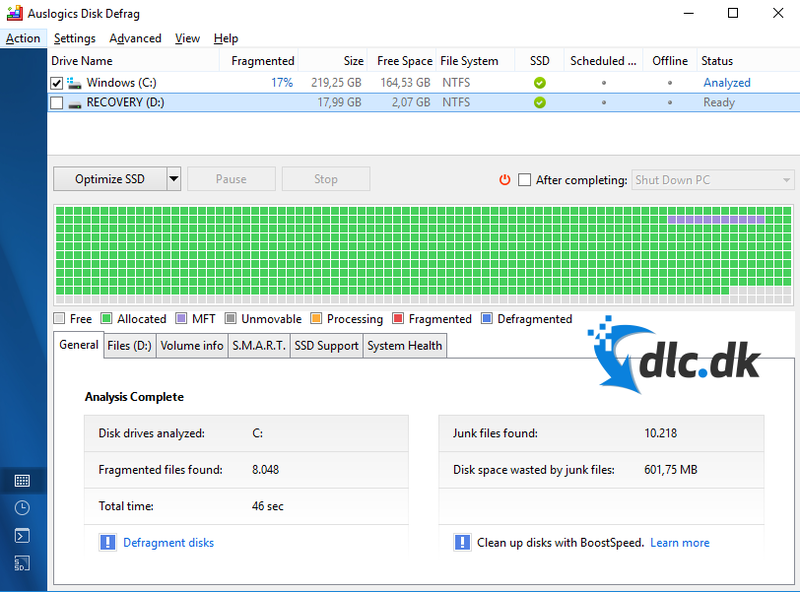 Auslogics Disk Defrag is a solid choice when it comes to defragmenting its hard drive. With the program at hand, one can achieve great system improvements. It is also possible to invest in disk defrag pro version of the program if you want to spend money on it. Free or not, it is a program that tops the list of defragmentation software. It can only be recommended. Find Auslogics Disk Defrag, mark it and choose "Uninstall"
Should Auslogics Disk Defrag has been damaged or corrupted and thereby difficult to remove we can recommend you finding help to uninstall it here.